The Supreme Court is refusing to allow the state of North Dakota to ban abortions done on unborn babies after 6 weeks of pregnancy. The high court turned away North Dakota’s appeal of a lower court decision overturning the abortion ban the state legislature approved. The decision is not surprising given the high court still has a pro-abortion majority that support Roe v. Wade, which allows virtually unlimited abortions throughout pregnancy and essentially prevents states from protecting most unborn children. As LifeNews previously reported, at 22 days into pregnancy unborn children complete the development of their heart to the point that a heartbeat begins and the bill would stop abortions at that point. The law was meant to ban abortions when the unborn babies heartbeat begins but would have been applied at six weeks of pregnancy. 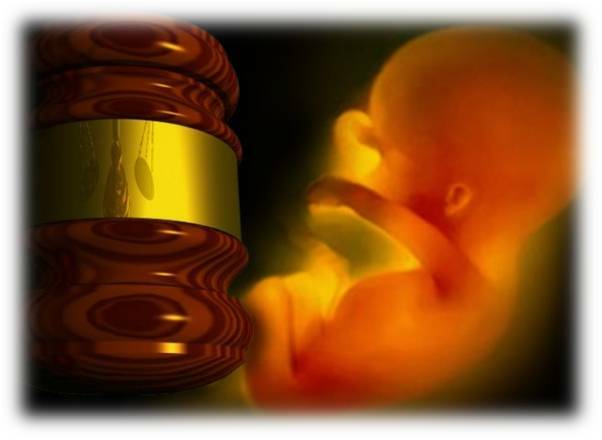 The justices on Monday turned away the state’s appeal of lower court rulings that struck down the 2013 fetal heartbeat law as unconstitutional. The law never took effect, and abortion rights supporters said it was the strictest anti-abortion measure in the country. The high court last week rejected Arkansas’ bid to enforce its own fetal heartbeat law, banning some abortions at 12 weeks. The judges said the laws were inconsistent with the standard set by the Supreme Court that generally ties abortion restrictions to the viability of the fetus. But the judges urged the Supreme Court to re-evaluate its abortion cases to take account of changes in medicine and science, and the wishes of elected state lawmakers. The current framework “discounts the legislative branch’s recognized interest in protecting unborn children,” Judge Bobby Shepherd wrote for the panel, which also included Judges William Benton and Lavenski Smith. North Dakota’s Republican-dominated legislature approved the law in 2013, though it was quickly put on hold after the state’s lone abortion clinic, in Fargo, filed a lawsuit that July. The Fargo clinic performs about 1,250 abortions a year and is served by out-of-state physicians licensed to practice in North Dakota.